Jessica Jones, breakout star of Brian Michael Bendis' hit series ALIAS, is back! 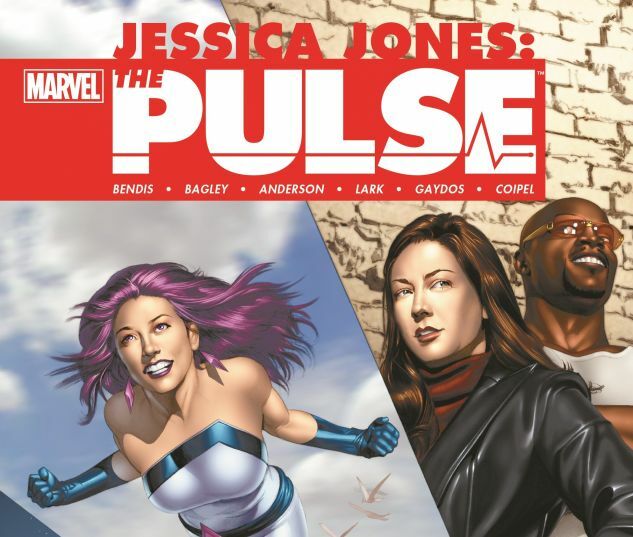 And the ex-Avenger-turned-private investigator is starting a new chapter in her life - working for The Daily Bugle's new super-hero section, The Pulse! Jessica's first assignment: to uncover the identity of a former Bugle reporter's super-powered murderer! How is Norman Osborn involved? And how will Jessica's shocking discovery affect the entire Marvel Universe? And when Nick Fury's Secret War spills over into the streets, it hits Jessica and Luke Cage right where they live! With their lives in shambles, Jessica decides to fight back! Finally, it's the moment you've been waiting for: the birth of Jessica and Luke's baby, and their wedding day! Guest-starring Spider-Man, Captain America, the New Avengers and more! Collecting PULSE #1-9 and #11-14, and NEW AVENGERS ANNUAL (2006) #1.